How many of you love to listen to your own recordings? I must admit it has never been one of my favorite things. Learning to listen critically is an indispensable skill for the singer. How many of you love to listen to your own recordings? I must admit it has never been one of my favorite things. Learning to listen critically is an indispensable skill for the singer. It is often through recording ourselves in lessons, practice, and performance, and reviewing those recordings, that we discover and correct faults, review the platitudes and pronouncements of our teachers and coaches, and the subtle nudges that made a marked positive difference in tone, resonance, or shape of phrase. popped it in a box called a tape player and rewound the cassette to listen to our lesson, indexing important counter numbers for later ease of reference (having trouble following me? See the image on the left side of this page or visit https://en.wikipedia.org/wiki/Cassette_deck). Some of us kept journals with our reactions and reviews of the recordings and through this repeated process chronicled the progress of our vocal development. Acquiring the skill of critical listening was a gradual process. Sometimes reviewing a recording with out teacher revealed further nuances that we missed even after multiple hearings on our own. As we combined this skill with our other learned and innate musical skills our ability to discern what we perceived as quality singing was influenced by a host of other stimuli and the complex skill of rating a performance or a portion of it was imprinted upon us. Those inclined toward a positive outlook might first consider the good things about the performance but let’s face it, usually when listening we gravitate toward the mistakes made or the less than perfect aspects of the performance. We often have to tell ourselves prior to starting the playback, ‘I am only going to list the positive things about the performance the first time through’ or one might gravitate toward the critical. Expanding this process of listening to recordings of other singers, the exceptional and the average, and combining that with an ever expanding database of knowledge acquired through our in depth study, we continually refine our ability to evaluate the voices we hear. We come to expect a certain level of performance when a new recording by __________(insert favorite singer’s name) is released and we hear it for the first time. Sometimes our expectations are exceeded and sometimes they are not met and we form an opinion. 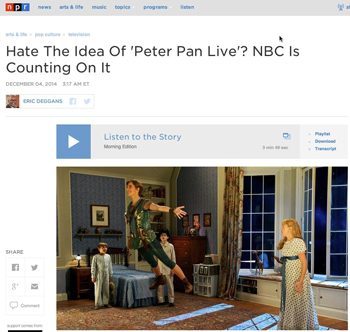 Listen To The Segment on NPR. How do we as music professionals respond to this epidemic that threatens to cheapen and sometimes unfairly denigrate the art forms and colleagues we respect and admire? How do we respond to the old adage ‘everyone’s a critic’ when everyone REALLY DOES become a critic? Most importantly how do we model informed behavior and educate those we teach to be informed critics in this new media landscape? Allow me to offer some suggestions. Modeling appropriate social media behavior is as imperative today as modeling and teaching appropriate audience behavior for recitals has been in the past. Just as we would not clap in the middle of a song cycle, we need to resist the urge to comment in the middle of a performance. When we take our focus away from a performance in order to comment our attention is divided and we miss a portion of the performance. 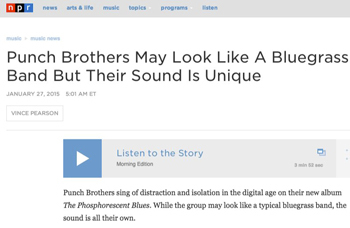 In a recent interview, the mandolin player and singer Chris Thile of Punch Brothers talked about the title of their new album, The Phosphorescent Blues. The album title was inspired by the ghostly blue glow that appears on the faces of many in their audiences while using their cellphones during performances. Thile lamented the fact that audiences seem less connected to the performance when using their phone. “People look like ghosts from stage, and they kind of are ghosts. In a way, they’re not really there, and that’s kind of how we are all right now. We’re never really all the way anywhere.” If we expect our students to be fully engaged as performers, let’s also expect them to be fully engaged listeners and audience members and expect that of ourselves as well. Let’s reclaim the joy of simply enjoying a performance live or recorded. As teachers we spend our days critically evaluating everything we hear in the studio. 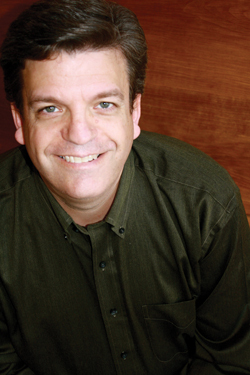 As a result it is often hard to turn off the critical ear when we attend a performance. We need to consciously remind ourselves that we are there to simply take in the performance and enjoy live music being made. We need to practice this and instill in our students the ability to do so as well. While we all think we are well-educated musicians, our “classical” music training hardly prepared us for accurately dissecting the nuances of a rock performance by Steven Tyler as discussed by Dr. Stephen Zeitels last summer in Boston at our national conference. Yet we feel free to post comments about rock singers’ performances and others outside our expert sphere of knowledge that then become interpreted by those in our sphere of influence as comments by an expert. While our comments about a recent performance of Mozart may be expert, often our comments on rock are truly more about our personal reaction to the music as a listener/fan and not of an informed critic on that genre. While we probably understand the difference, those in our sphere of influence may not. Idina Menzel’s recent highly publicized performances of her hit “Let it Go” and the National Anthem are good lessons for us all. While some of us may feel less comfortable talking expertly about super belt and high belt singing I feel I can state with certainty that we have all been in a high pressure performing situation and had our voice not perform optimally. Yet my social media feeds contained few to no comments of camaraderie like “been there, done that,” “I feel your pain,” etc. Let’s support our colleagues when they are down rather than celebrating their less than triumphant moments as if our comment is the one to crack a perfectly crafted media persona. He writes about that of which he has expert knowledge. He writes supportively of the profession but also compares Polenzani’s attributes to what he sees as lacking in some other contemporaries he has heard. I imagine that had Polenzani not exceeded his expectations on this front that he would have also stated his reservations about the performance just as eloquently. He writes well-formed sentences that are not full of exclamations like “awesome,” “wow,” etc. He leaves the reader better informed about the subject being reviewed. Just because we are not professional music critics, does not mean we cannot write informed criticism well and contribute to others’ understanding of our art form while building up, supporting, and sometimes protecting the profession we love. Each of the above qualities can easily be turned into a question we or our students can ask when thinking about posting about a topic on social media. Are my comments supportive of the profession as a whole and if critical are they well-stated? Are my comments well written? Will my comments inform? Will they further the discussion on a topic? Although they may be contrary to previous opinion are they defensible? I look forward to reading YOUR well-informed criticism this year. Find me on FaceBook at Allen Henderson or one of our NATS Social Media pages listed on nats.org. As always, I welcome your comments - either by e-mail or in the comments section at the bottom of this page.